For some odd reason I am compelled now and again to advocate for Before the Devil Knows You’re Dead, the last film directed by Sidney Lumet. It seems each and every time I watch a Lumet film, and I love almost every single one he ever made, I go back and take a look at his last one – one I feel is ignored, but that should stand among his best. Given the great director’s impressive filmography, that’s saying a lot. Before the Devil is a contemporary classic by my estimation, a film that in many ways stays true to the style of storytelling classics fans are used to, which is why I comment on it on this blog. 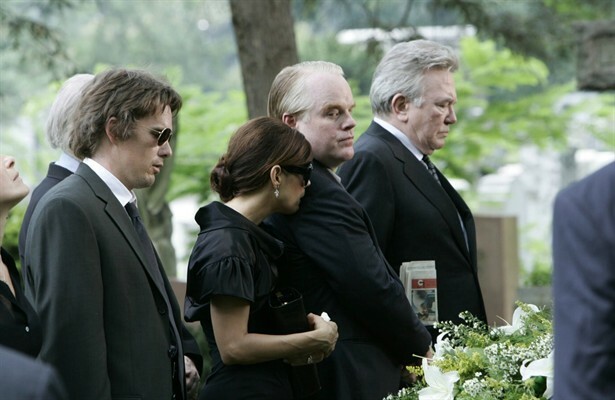 Before the Devil Knows You’re Dead stars Phillip Seymour Hoffman, Ethan Hawke, Marisa Tomei and features Albert Finney, in a key, supporting role. The story is told through parallel individual tales of each of the main characters leading up to, and looking back on, the film’s fateful event and scathing aftermath. 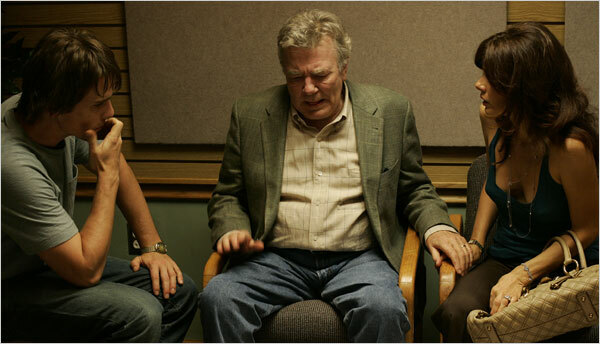 Hoffman and Hawk play brothers, Andy and Hank, respectively. Perhaps an odd pair to view as brothers at first glance, but there is never a question of their bond once we get a glimpse into their lives and history. For very different reasons both men are in dire need of cash. Andy, the older, stronger and wiser brother, who is also much higher on the economic scale, comes up with the brilliant solution to their cash woes – they should rob a small jewelry store, which he calls a “victimless crime” since the owners would be well recompensed by the insurance on the store. But, it is not just any jewelry store he plans on robbing. What makes it “special” is for you to find out. That’s the premise in its simplest form but what results is a gripping, deeply emotional story. There’s nothing simple about this film and the “victimless crime” results in numerous victims and unspeakable tragedy. We get to know all the characters in this story in a taut, personal way so that the crimes they may commit are interwoven into the fabric of who these people are caused by where they came from, and their relationships. They all make ruinous choices yet our sympathy shifts from one to the other as circumstances unfold. These people are tragic but not unlikable. 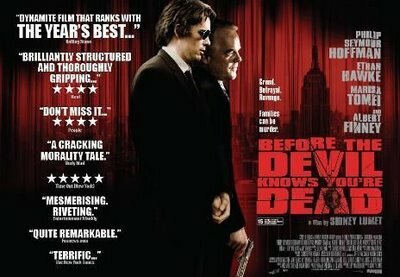 Before the Devil Knows You’re Dead is not easily placed into the confines of a traditional genre – at least not for me. It is also a film that shouldn’t be spoiled. It is best when consumed cold. I knew nothing about it when I saw it and the experience was better for it. Lumet himself referred to the film as a melodrama and how can I say otherwise? I can only add that this is a tense and intense film. It’s the kind of film that grabs you from the get-go and doesn’t let you go. It is a guarantee that you will have a hard time letting it go. The acting in the film is memorable all the way around. The film received no Academy Award nominations, although it deserved to receive several. 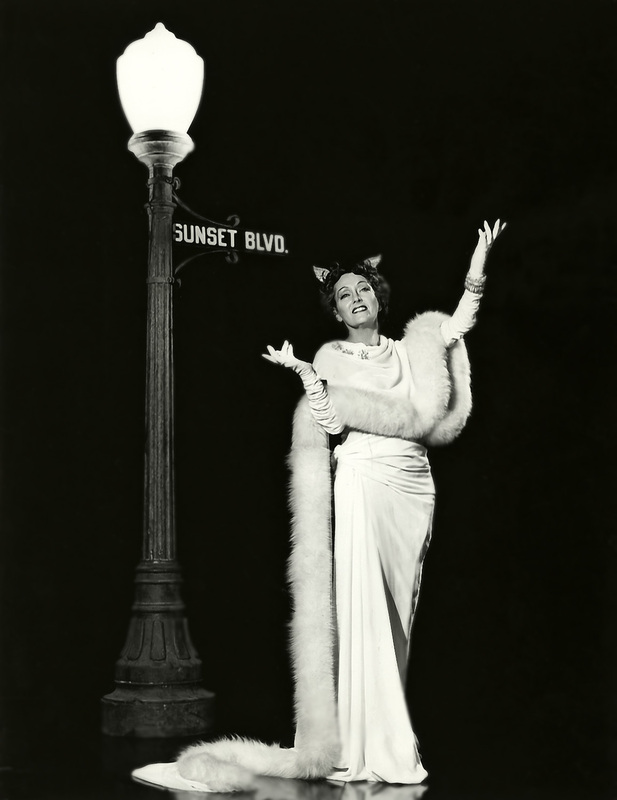 It was recognized for ensemble cast and other honors on several fronts. 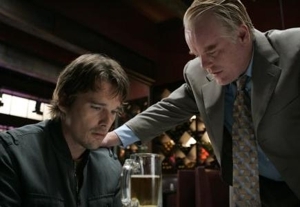 Phillip Seymour Hoffman, by my estimation one of the best character actors of his generation who we lost far too early (a fact that still stings) is outstanding. He regularly went where few others could in emotional terms. As Andy in Before the Devil Hoffman is moving in all his emotional incarnations, which run the gamut from cold as ice to heartbreaking. Marisa Tomei is also memorable as his troubled wife in this movie. These two actors have several scenes together that rank among the best I’ve seen. One scene in particular blew me away. The scene takes place in a car (a confining space – a Lumet signature) where Andy breaks down after a disturbing exchange with his father. The kind of acting we see in that scene is not only testament to the actors involved but also to Sidney Lumet as the great actor’s director he was. (I keep saying that whenever I mention him or one of his films in a post but it’s his greatest gift.) His films leave no emotional stone unturned. Every role, every character is vital to the story and he treated them with the utmost care and attention. He also deserved kudos for the way he chose to tell this particular story, using a wide range of shots, signatures of his work through the years, each showing his love of character and storytelling. He used wide shots that enhance the character’s disconnect, aloneness and desperation and wonderful close-ups to enhance tension. Worthy of note is that this film is the only one Lumet shot using digital film techniques, preferring it for its convenience to the more traditional use of film. I am not familiar with the differences or technical terms used in filmmaking but can attest to the fact that Before the Devil Knows You’re Dead is a stunningly crisp film, as visually stimulating as the story is disturbing. This film doesn’t resemble many of Sidney Lumet’s other films in look and feel, but his signature is present and recognizable. Having a love of theater, Lumet always made sure his films were theatrical events, setting the stage with precision and style – of stories grand or small, always truthful in the realm of the human condition. 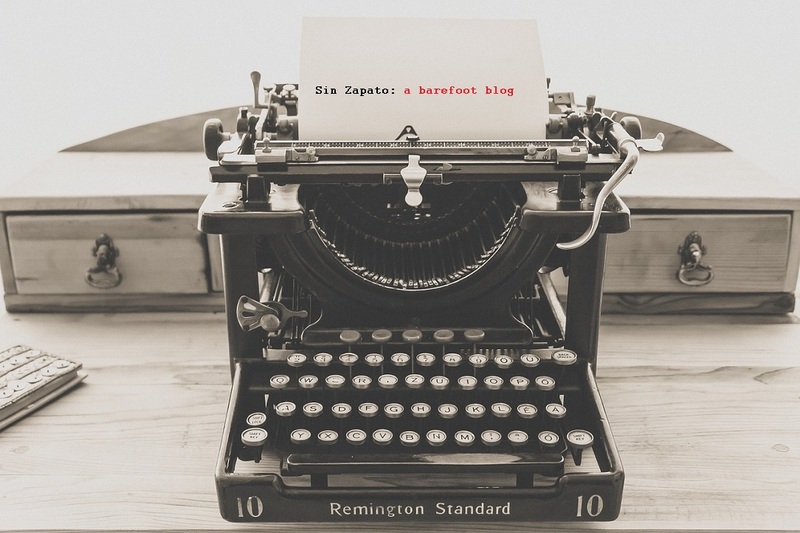 He tended to show the worst of human nature in an extraordinarily ordinary way, often through stories that featured characters in extraordinary, but believable, circumstances. This is prevalent in his first film, 12 Angry Men where we get to know the fiber of each juror as tensions grow in that room, or in this one, his last, where the unraveling of circumstances leads to…well, the devil’s handiwork. Lumet was a realist in the face of grandeur. Through his camera we view the soul. And good or bad we can’t look away. It is obvious I am a great admirer of Sidney Lumet’s exceptional body of work with many of his films being on my list of favorites – again, 12 Angry Men, Fail Safe, Dog Day Afternoon, Murder on the Orient Express, Network, The Verdict – and Before the Devil Knows You’re Dead has joined the list of notables. It turned out to be a wonderful way to cap a stellar career. Mr. Lumet was an extraordinary talent, one of the great directors of American Cinema. On the anniversary of his death (April 9, 2011) I post this in honor, a tribute to his last work, a film of unspeakable crimes, heartbreaking circumstances and unforgettable images. It is not without worry, by the way, that I say I love a film so much that is of such a disturbing nature. May you be in heaven half an hour…before the devil knows you’re dead. I’m with you that Lumet is among the elite classic directors and I think he gets overshadowed by others. His last film didn’t work for me for some reason (I think I had some reservations with the logic in the movie, but don’t remember well since it has been a few years). It is worth a revisit. I’ll add THE PAWNBROKER to your list of great Lumet films. It definitely has my favorite performance. Lumet’s first film was memorable, but not for the reasons you might be thinking. As a 13-year-old in 1939, Lumet appeared in the hilariously awful agitprop film One Third of a Nation, playing one of the residents of a New York City tenement (and kid brother of Sylvia Sidney). Lumet gets a fever-dream sequence in which the building talks to him and shows him how tenement life was ever thus. The film ends with a paean to Robert Moses-style urban renewal, never quite explaining where all those poor people are going to live while the urban renewal is going on. I thought it was a very fine film, too. What a shocking opening scene! But the acting was brilliant. I loved this movie, hope to revisit it soon. I agree this was a superb film, and a very under appreciated one. Love 12 Angry Men as well, and other films of his I’ve seen like Network, Murder on the Orient Express, Equus, Serpico & Dog Day Afternoon. I even though, the not so famous, The Appointment, was pretty good, though not great. This is a beautiful tribute to another great director, that is no more, through final film. Check out my tribute to him, from last year (June)- for his Birth Anniversary.